What if Canada 's so-called environmental nightmare was really an engineering triumph and the key to a stable and sustainable future? For years, Canadians have been hearing nothing but bad news out of the Athabasca Oil Sands. From 20th Century economists decrying it as a perpetual money-loser in the face of more easily-extracted foreign oil to green groups around the world declaring it the world's worst industrial enterprise, sometimes it seems as though no good could ever come from this so-called dirty resource. But what if developing Canada's Oil Sands was the key to bridging the gap between current petroleum-based economies and the alternative energies that aren't ready for market yet? What if it meant eliminating the threat of Peak Oil and providing economic stability not just for Canada and the rest of North America, but for the world? And what if the environmental costs of the resource were both not nearly as dire as some would have you believe, but currently better than many other options with the industry already making huge advances in sustainability, energy use and water reclamation? That's exactly the case that Alastair Sweeny, author of BlackBerry Planet, argues is at the core of the Athabasca Sands: a bright future. By digging into the past, present and future of oil sands technology, Sweeny cuts through the hype and hysteria and makes a solid and engaging case that the Sands aren't the environmental boogeyman set to destroy humanity, but rather our best hope for a truly stable and sustainable future. Alastair Sweeny is a veteran writer specializing in business histories and leading-edge technologies. He has produced and written five corporate histories of leading companies in the energy, financial services, technology and retail sectors, and has produced digital and book content for both Apple Inc. and Microsoft Inc. He is the author of BlackBerry Planet: The Story of Research in Motion and the Little Device That Took the World by Storm, published by Wiley in 2009. Chapter 1: All About the Oil Sands. Chapter 2: Origins—All Hell for a Basement. Chapter 3: Gearing Up—The Years of Frustration. Chapter 4: Pay Dirt—The Oil Sands Today. Chapter 5: King Ralph and the SAGD Revolution. Chapter 6: Tar Wars—Oil versus the Environment. 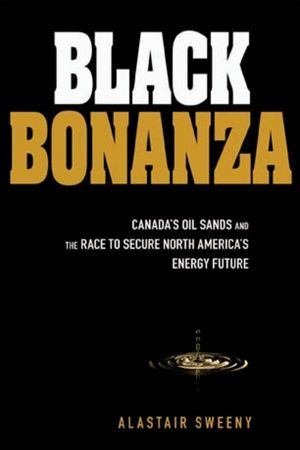 Chapter 7: Peak Oil Terror and the Athabasca Answer. Chapter 8: Blue Shift—A New Frontier in Energy.